Personally, I don’t have a strong body odor so I don’t wear deodorant on a daily basis, but this year, I’ve set a goal for myself to be healthier by leading a more active lifestyle and going to the gym on a weekly basis to tone up. Although I’ve tried a number of deodorants in the past, I never liked the tacky consistency that most deodorants gave me when I applied them. They would leave white residue on my clothes and overall felt uncomfortable for my underarms. Women should expect more than just protection from their deodorant, and not all deodorants are created equal. Dove Advanced Care Antiperspirant not only offers 48 hours of odor and wetness protection, but it also includes added skincare benefits with its NutriumMoisture formula and Dove 1⁄4 moisturizers for softer, smoother underarms. The formula helps prevent irritation, dryness, and uneven skin tone and is also 100% alcohol (ethanol) free. My armpits feel so soft and supple after application that I would apply Dove Advanced Care Antiperspirant for the skincare benefits alone honestly. I also appreciate the fact that it does not leave any white residue on my clothes, making it the perfect deodorant for me to wear when I workout considering 90% of my gym clothes are black. It was such a pet peeve of mine when deodorants left white marks on my black gym clothes since it was very noticeable and I hate having to be self-conscious about it while working out. 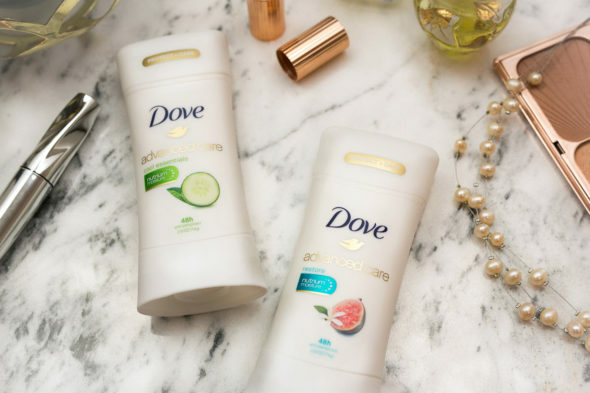 The Dove Advanced Care Antiperspirant line also carries a wide range of fragrances ranging from orange blossom to shea butter so you can choose a scent that is to your liking. There are also Clear Tone options, which helps restore natural skin tone where it has become discolored by irritation. 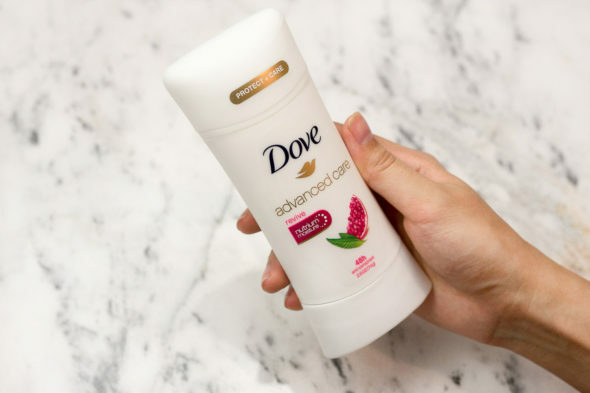 Although I grew tired of trying new deodorants many years ago, I’m so happy with my experience with Dove Advanced Care Antiperspirant. My underarms can finally receive the 48-hour wetness protection that it needs, without having to sacrifice the comfort! My underarms feel so smooth and supple after each usage. For more information on Dove Advanced Care Antiperspirant, feel free to check out their website here. I love Dove! What I appreciate the most is how soft and delicate the scents are. There’s really nothing worse than a cheap smelling deodorant. I Love doves products but personally i refrain from all antiperspirant that has aluminum in it. 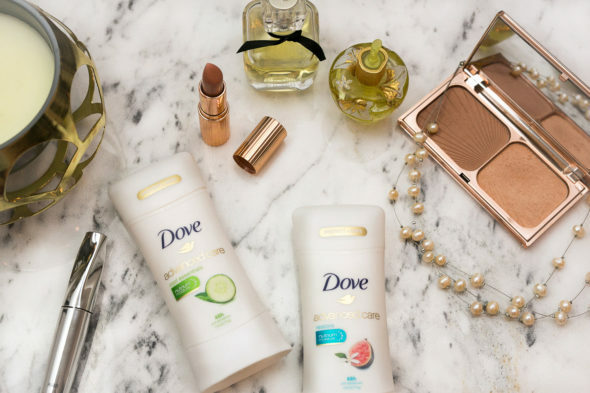 thanks for sharing this babe, love dove products! Love the pictures and I have to say that I daily use a natural deodorant but I do have my Dove antiperspirant for days I know I’ll be running around and sweating more than usual! It always keep me feeling fresh and smelling good!